On December 30th, 2018, Artcurial closed the year with the third edition of Paris#Marrakech. 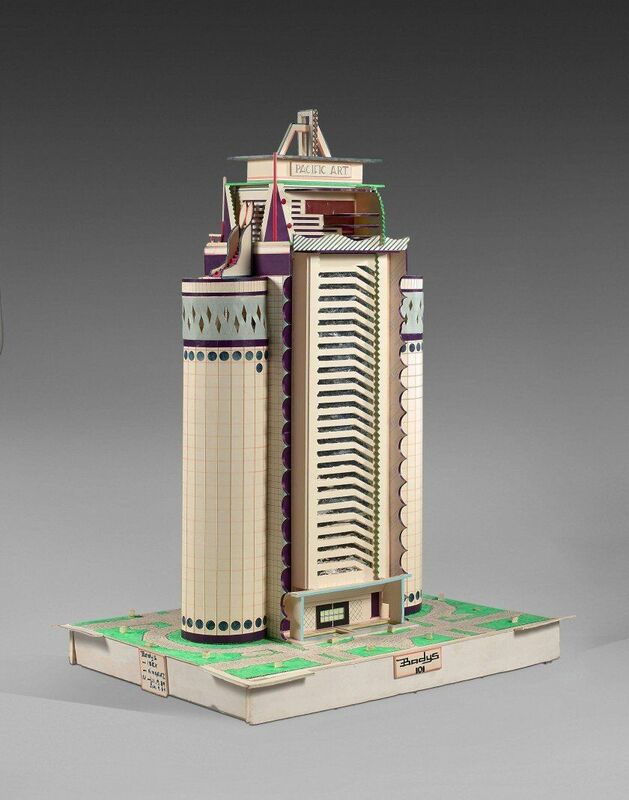 Ten new world records were set at auction, notably for orientalist Theodore Frère, and contemporary African artists Seydou Keïta and Abdoulaye Konate. The sale was organized on the occasion of the first Marrakech Art Week, which brought together 12 cultural actors from the red city. PARIS – Artcurial organized on December 30, 2018 its third edition of the sale Paris#Marrakech, in duplex with Marrakech. Composed of about a hundred lots, the session of three sessions of orientalist art and contemporary African art, directed by François Tajan, totals €1,890,040 / $2,154,645. An exceptional private Italian orientalist collection, entitled From Constantinople to Tangier, a collection by an Italian amateur, opened this edition by offering bidders a real trip around the Mediterranean. It sets 3 world records at auction, notably for Théodore Frère, whose Grande caravane de la Mecque (lot 3) is sold for €195 000 / $222 300 including taxes, or Jean-Paul Sinibaldi whose Salammbô (lot 21) changes hands for €182 000/ $207 480. It was a French orientalist painter, Eugène Girardet, who won the highest price of the session with the oil on canvas La gazelle apprivoisée (lot 16), one of the most important works by this renowned artist, awarded €300 400 / $342 456 including taxes. The second orientalist component, Majorelle et ses contemporains, rewards the artist Chaïbia with the oil on canvas Spectators of Tennis created in 1987 (lot 68) which reaches €78 000 / $88 920 including taxes. The last chapter, African Spirit, dedicated to contemporary African art, includes 6 new world records at auction. Chéri Samba‘s acrylic and glitter on canvas, J’aime la couleur (lot 91) is flying at €91,000 / $103,740, well beyond its estimate (‘70,000 – €100,000), and artist Bodys Isek Kingelez exceeds the record set the previous year by Artcurial with his work Pacific Art (lot 86) awarded €71,500 / $81,510.
. World record for a work of the artist sold at auction. The work of the artist Abdoulaye Konate Tafo ou la force du verbe, 1995 reached a world record and was auctioned at €54,600 / $62,244, while Billie Zangewa‘s Exquisite Fantasy, 2014, flew off for €42,900 / $48,906, also a world record for the artist’s work sold at auction. “For this third edition Paris#Marrakech, which has set 10 new records, including 6 for contemporary African art, Artcurial is demonstrating its leadership in Marrakech and its ability to develop this market. The launch of Marrakech Art Week was a success and will be back next year in an enhanced format. This new cultural event created by Artcurial will develop” says Olivier Berman, Associate Director Orientalism and Contemporary African Art at Artcurial. Finally, let us mention the success of the first edition of Marrakech Art Week, organized at the initiative of Artcurial and Olivier Berman. Twelve actors from the red city (Yves Saint Laurent Museum, Galerie 127, Dar El Bacha, among others) came together for a week with a special programme. New participants have already expressed themselves for the 2019 edition. Founded in 2002, Artcurial, a multidisciplinary auction house based in Paris, will consolidate its leading position in the international art market in 2018. With 3 sales locations in Paris, Monte-Carlo, the company totalled 195.3 million euros in sales volume in 2018. It covers the entire field of major specialities: from Fine Arts to Decorative Arts, Collectible Cars, Jewellery, Collectible Watches, Fine Wines and Spirits…Resolutely focused on international markets, Artcurial has established its network abroad with representative offices in Brussels, Milan, Monte-Carlo, Munich and Vienna as well as a presence in Beijing and Tel Aviv, and biannual exhibitions in New York. In October 2015, Artcurial organised its first sale in Hong Kong and Morocco.